So versatile, you'll use it every day! Steams, stews, roasts, boils, deep fries and more. 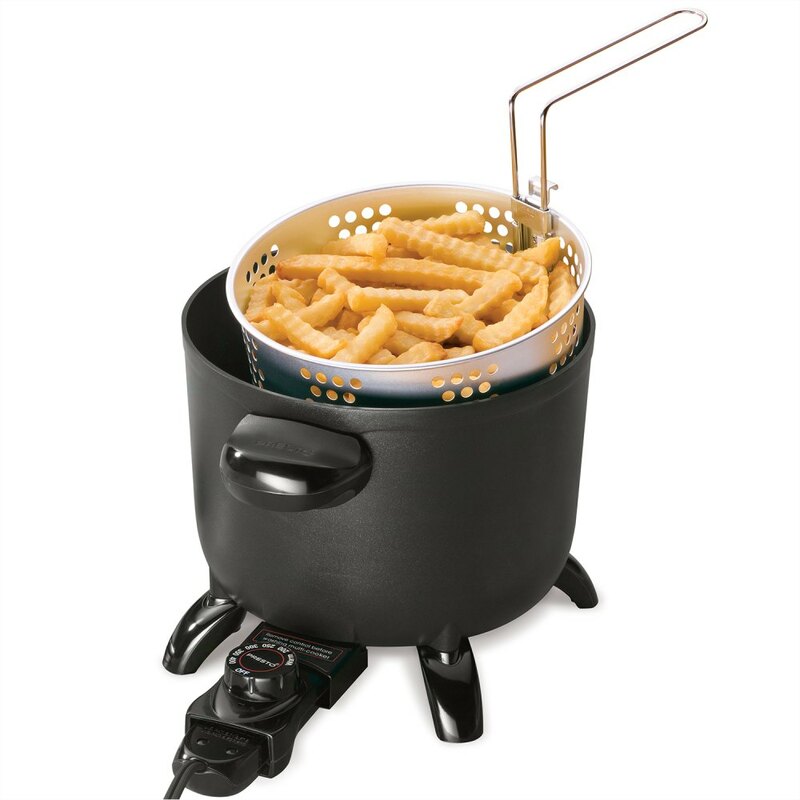 Deep fries up to six servings of french fries. Makes soups and casseroles. Steams vegetables and rice. Cooks pasta. Roasts beef, pork, and poultry. Handy basket for steaming, blanching, and deep frying. Hooks on rim of multi-cooker for easy draining. Premium nonstick finish, inside and out, for stick-free cooking and easy cleaning. Control Master® heat control automatically maintains the proper cooking temperature. Tempered glass cover lets you see food as it cooks. Heavy cast aluminum base for even heat distribution. *Serving size based on FDA guidelines for reference amounts for french fries. Versatile basket for steaming, blanching, and deep frying.